Sorell Martial Arts Academy, SMAA, was founded in 2016 by lifelong martial artist and pioneer Adam Newton. SMAA seeks to serve the Sorell community by providing a positive environment for kids and adults to train and develop as people. Training in Martial Arts is challenging and rewarding, with every session working a sweat. Students will develop great problem-solving skills as well as the kind of maturity that comes from working through difficulty. 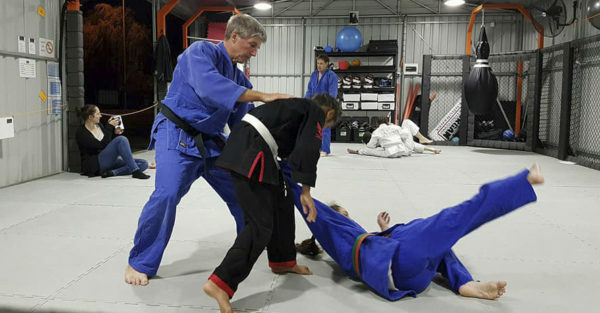 This is achieved in a team environment under the watchful eyes of one of the most experienced martial arts coaches and competitors in the country. Location: 38B Gordon Street in Sorell, next door to the Caltex Service Station. Entry through the gate is below the Caltex sign and entry to the dojo is at the rear of the shed.